Protect What Matters Most: "My roof was damaged by hail, why won't the insurance company replace the whole thing?" "My roof was damaged by hail, why won't the insurance company replace the whole thing?" Some times after a widespread storm (such as the one that came through Oakland on June 3), property owners believe that since their roof was partially damaged the insurance company owes them an entire new roof. After all, you would't replace just part of your roof. The problem with this situation is that insurance companies are only obligated to pay for the "damaged" portion of the property. 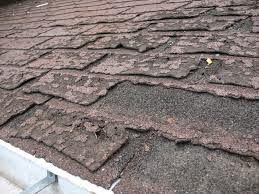 Often times a storm will cause enough widespread harm to the surface of the roof that the whole roof must be replaced. However, if a person has a roof that consists of two sides and only one side was affected by the wind and/or hail, the insurance company only owes for the half that was damaged. This particular scenario is unfortunate for the property owner because they will want/need to replace the whole roof, not just half. Who's going to pay for the difference? Answer: The property owner. As mentioned above, the insurance company is only responsible for the damaged part. Granted, this scenario hardly seems fair, particularly if the property owner has been insured by the same company for years, perhaps even decades. As much as your company and agency appreciates your business over the years, they cannot use that as a consideration to pay for something not allowed by your policy (such as the undamaged half of your roof).